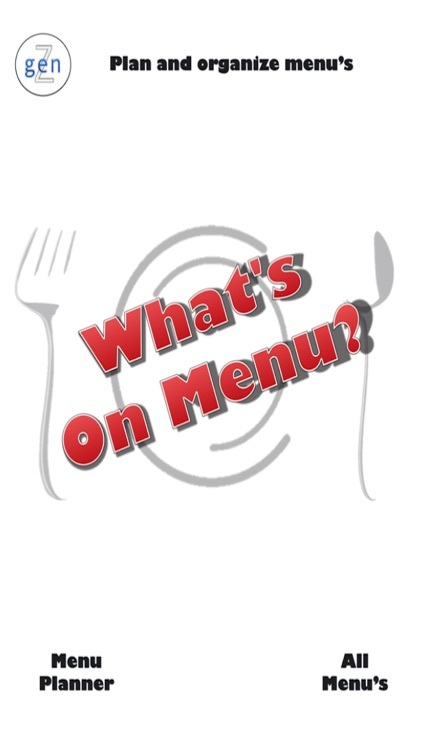 What's on Menu? 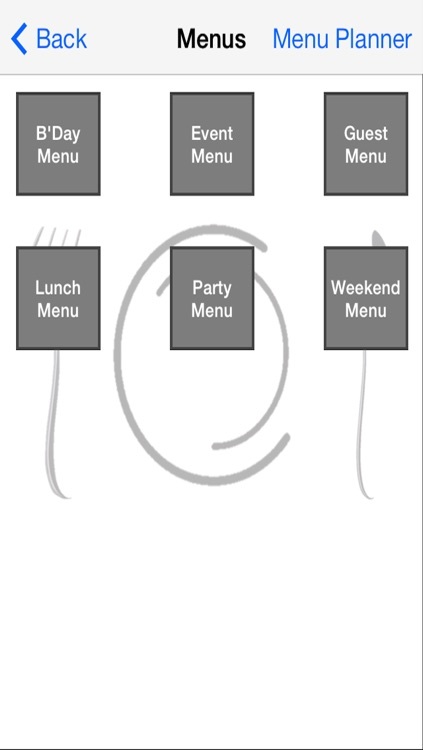 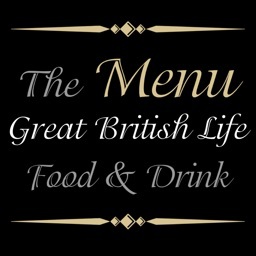 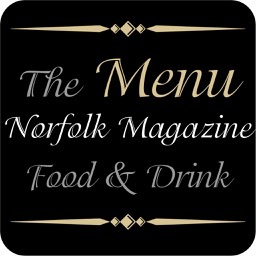 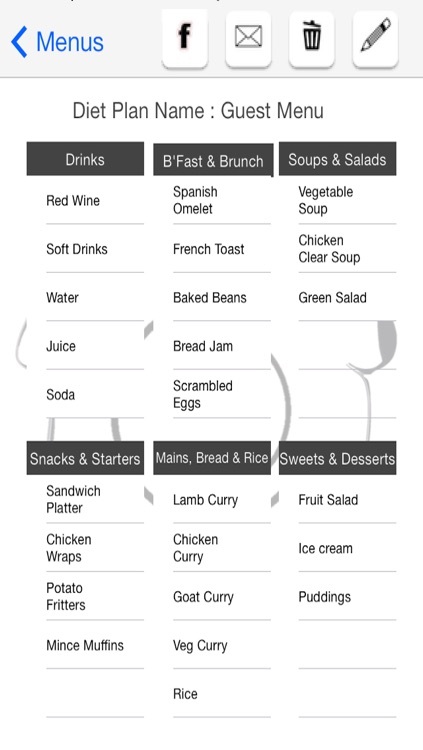 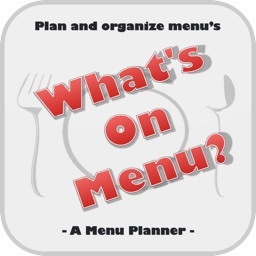 is a menu planner app. 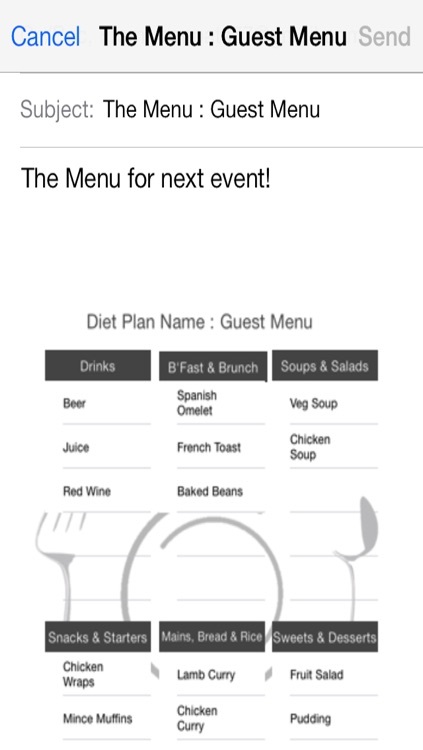 You will be able plan menus for events, parties or organise your daily menu in this app. 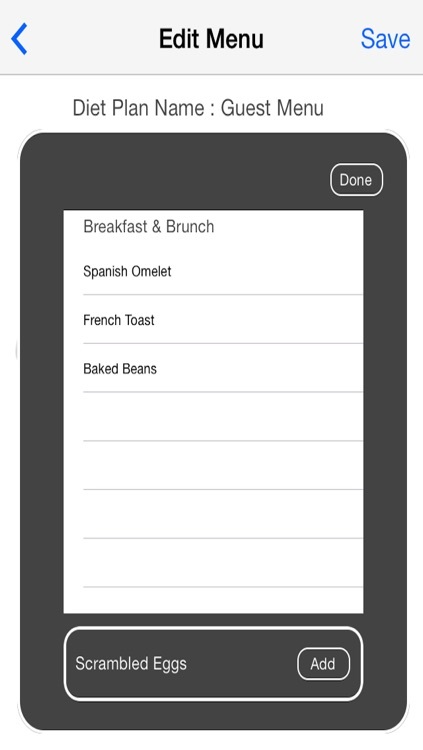 You can communicate the menu over the email or share on Facebook. 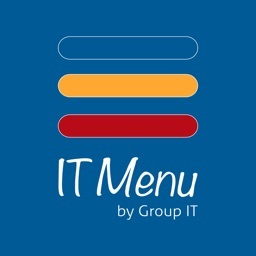 You can edit existing menus or delete the unwanted menus. 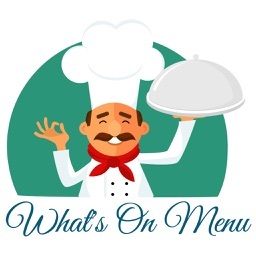 This app or information in this app has no warranty. 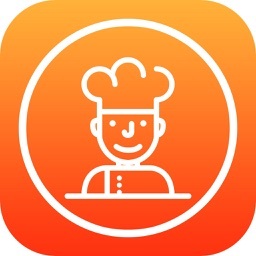 Although uttermost care has been taken while developing this app and preparing the content within this app but the developer shall have no liability to any person or entity with respect to any liability, loss or damage caused or alleged to be caused directly or indirectly by the instructions and content contained in this app.